The bedrock principle behind quality real estate purchases. We’ve got that. Check. Adjacent to the Covered Bridge, close to Bridge St retail shops, surrounded by a wide range of dining choices. Step outside for the Vail Transportation Center, free in town bus service, ice skating, or take the five minute walk to Gondola One. It’s all about providing value and service to our owners and their guests. A customer focused Management team and staff members second to none. Services and Amenities defined by our owners, not a corporation. Privately managed by our own hospitality professionals. Conservatively managed and financially stable since opening in 1998. Complimentary European inspired breakfast each day which includes our signature waffle station and mountainous fresh fruit bowl. Heated pool and hot tub facing Gore Creek and the mountain. Free high speed wireless internet throughout the building. Access to Vail Athletic Club and Spa just a two minute walk away. 24 * 7 front desk service. Personalized concierge services to meet your every need. Valet parking in our secure, heated, underground garage. Upon request, your favorite foods, beverages and necessities – will be stocked in your condo just prior to your arrival. Enjoy the use of BASE CAMP near Gondola One. Complimentary overnight ski and boot storage. Ski rentals and best in class and repair services available. 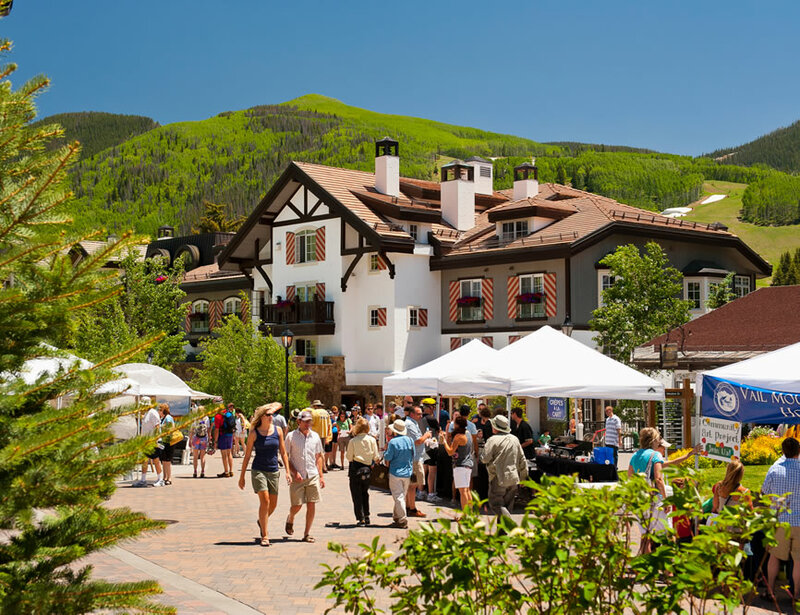 At the Austria Haus Club we offer an exclusive residence in a prime Vail Village location. This means easy access to the best of Vail for your summer or winter activities. Park your car when you arrive and forget about it, or use the Club as your base of operations for adventures farther afield. Planned vacation weeks are not fixed; they change over time. Your vacation needs will change. With children, owners prefer school vacation weeks. Later, you’ll want to reserve Spring Break vacations. Empty nesters take advantage of weeks that avoid peak times. Our reservation model addresses this perfectly. The last thing you want on vacation are unintended surprises. You can count on Austria Haus Club to consistently meet or exceed your family’s expectations. You’ll look forward to each visit just as if you were coming home. Imagine arriving to a tastefully furnished and impeccably maintained residence. Your personal items have been retrieved from storage and delivered to your condo. The concierge team has confirmed all your reservations. All that you need to do is relax and enjoy your stay. Fractional ownership at the Austria Haus Club is stress free vacation ownership at a world class resort for a fraction of the cost of a single family home. Leverage your investment by exchanging any unused Austria Haus weeks towards time at THIRD HOME properties. The Austria Haus has a boutique feel with outstanding service and location. It feels like we are coming home every time we visit because the staff knows our names and makes every effort to accommodate our requests. The atmosphere is elegant and refined. If you are an active person who loves to ski, hike, and loves music, there is no better vacation option. It’s truly a second home with none of the “hassles”. I would describe the Austria Haus Club as a warm, welcoming Vail experience without the headache of home ownership in an ideal location with the sound of the Gore Creek and view of the mountains right outside of your unit. It just doesn’t get any better than this. You walk out the front door and there are so many wonderful restaurants to enjoy. You are able to enjoy summer, winter ski season, with the flexibility to schedule, exchange or rent your weeks according to your situation. The delightful long time staff are there to greet you and embrace you as a family member.